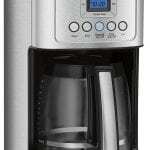 If you’re interested in finding a new coffeemaker from an American manufacturer with a strong and positive reputation, then you’ll benefit from learning about BUNN coffee makers. 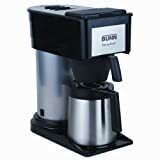 Bunn coffee makers are crafted with care in order to work well over the long term and they come in an array of models, at a variety of price points. 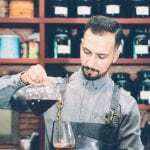 Today, we’d like to share information about this particular brand of coffee maker, as well as some popular models that the manufacturer produces. Once you’ve learned more about Bunn’s commitment to quality, you’ll be one step closer to deciding whether or not this brand fits the bill. This company was the brainchild of a descendant of a grocery store operator and the company’s history dates back to 1840. The grocery store owner was the late Jacob Bunn and he sold Abe Lincoln groceries when Abe was very young. Later on, his descendant, George Bunn, incorporated a corporation named Bunn-O-Matic Corporation. 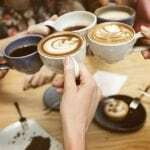 It was initially a beverage equipment company which sold more than coffee makers, but became a separate company (which was all about coffee makers!) in 1963. 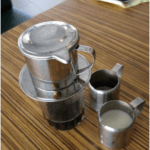 Today, Bunn is an American coffee maker company which is privately-held. It’s owned by the family and it’s been owned by five generations of Bunns so far. The BUNN BT Velocity Brew 10-Cup Thermal Carafe Home Coffee Brewer is a very nice model which tends to get excellent reviews from real-life owners. It’s a high-end style, so you’ll need to invest in it. 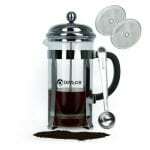 However, it offers premium quality for the price and definitely makes exceptional coffee. 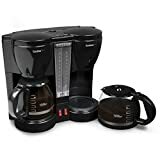 In terms of features, this model will brew four to ten cups of coffee (from twenty to fifty ounces) in only three minutes. Its carafe is of superb quality and features double-wall construction. The carafe is insulated, so it is able to keep coffee warmed up for a full two hours. Also, the coffeemaker comes with an innovative spray head which makes it simple to access coffee flavor which is complete and even. If you want to brew single-cups, then we recommend the BUNN MCU Single Cup Multi-Use Home Coffee Brewer. 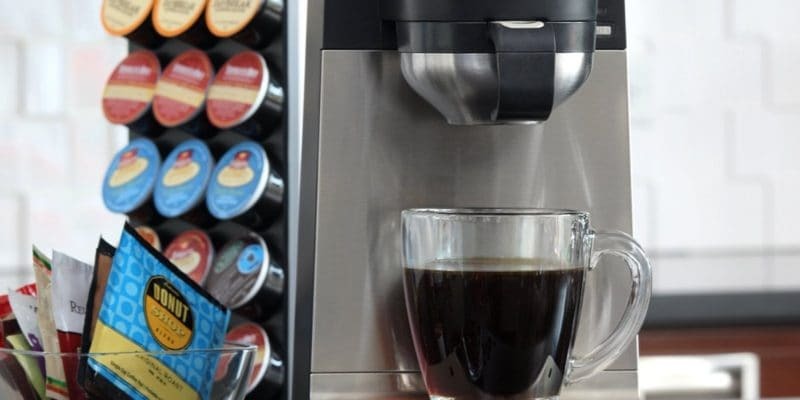 It’s very sleek and stylish and you’ll be able to utilize a range of materials with this versatile, single-cup brewer, including K-cup packs, tea pods, tea bags, ground coffee and loose tea. When you order, you’ll receive the machine, a cup, a pod, hot water drawers and ground coffee. his unit has a removable drip tray, so clean-up will be easy. If you want coffee fast, you’ll be pleased to know that this model will brew a cup in just one minute. You’ll find bunn coffeemakers right here at great coffee brewers through our links to the worlds largest retailer at the most competitive prices for these high-quality coffee brewers. However, the smartest way to comparison-shop for Bunn coffee makers is to review our various models. 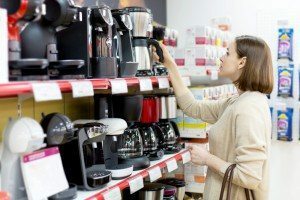 So, you may want to peruse different coffeemakers from Bunn and pick out a favorite before you start the pricing process. Be sure to check out customer reviews of models that you like. Now that you have the inside scoop on Bunn coffee makers, you’ll be ready to shop for them. They are also available at some community-based retailers, although you may need to pay more if you don’t buy online. Bunn is an old-fashioned brand name with ultra-modern coffee makers. These sturdy and solid designs never let customers down and they make a fine cup of coffee. Whether you choose their bunn velocity brew carafe style or a single-cup coffee maker, you’ll find that Bunn quality is truly impressive. This is why we are pleased to recommend bunn coffee makers which are produced by this established and trusted brand. 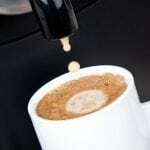 Coffee makers are wonderful household appliances, however they need proper care. If you want to extend the life of your brewer, be sure to clean it regularly. Once a week would suffice, but cleaning the brewer after each use ensures that your brew will be perfect every time. Some coffee machines are complicated when it comes to cleaning. Those will less detachable components will be the easiest to clean. Thus, ensure you know how to care for your brewer, so that it can give the best tasting coffee, every day. Each brewer has different features and thus different needs. 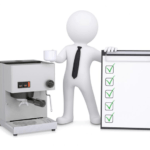 Research your coffee machine of choice and become acquainted with everything aspect of your brewer. You won’t regret it. 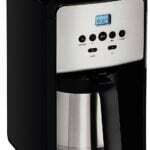 Mixpresso Coffee Maker – Single Cup for K Cups: Quality Coffee In Just Seconds!